We Supply all of our Parking Posts, Bollards and Bollard Covers UK Wide and they can be made to suit your exact requirements, if you have any specific project or specification you would like to discuss don’t hesitate to get in touch and we will gladly assist you. They can be Static, Collapsable or Removable and can be used in a variety of different locations for protection of buildings and or vehicles. 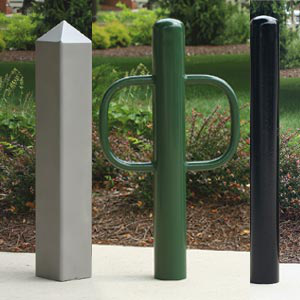 We are able to offer our standard design bollards in a range of sizes and profiles to suit your requirements. Our comprehensive fabrication facility also means that we can manufacture to your own designs in Mild or Stainless Steel. Tidy up old or tatty Bollards with a new Bollard Cover to keep your premises looking clean and tidy. Economy manual telescopic parking post.